Fengchi has experienced more for twenty years beginning with a small workshop, paving a self-improvement and struggling entrepreneurial road. Twenty years sings Fengchi’s glory past like a permanent note and condensate the staff’s effort and sweat like a gold medal! With a grateful heart, Fengchi will forever remember that everyone’s deep love and encourage itself to innovate and go to a new success! At present, Fengchi has won good timing, geographical convenience and good human relations, and keeps a foothold on the new historical starting point of large leap and large development. In the face of the new situation and new opportunities, we are well prepared by designing a long-term development plan. Under the guidance of the Scientific Outlook on Development, we will continue to carry forward the main theme of the steel industry, consolidate and develop domestic and foreign markets, and gradually form a market pattern of international and domestic simultaneous development. We will speed up the completion of the system reform, strive to build a modern enterprise system, establish the advanced enterprise culture adapting to enterprise development, constantly enhance the soft power, and build an evergreen and sustainable new Fengchi! Fengchi has created a brilliant yesterday, and is also creating a more brilliant tomorrow. We will develop friendship, expand cooperation, and extensive establish a win-win future strategic partnership with sincerity and devotion. We hope more friends are concerned about and integrated into Fengchi development, and make a bigger and stronger steel cause with us. In span and rise, all people’s ambitious ambitions, big ideals and glorious futures are achieved! Fengchi Company finally grew up after 20 years of development, from the private enterprise changed from an original two - light collective enterprise to the impressive low-speed wheel manufacturing enterprise at home and abroad in the rapid development, with products into the world top 500 enterprise supporting sequence (Japan Honda, the United States Kenda, John Deere). In 2001, due to the Geely transformation of collective industry, Fengchi sales were seriously affected in a very grim situation. Luckily, in 2002, the Company cooperated with Japan Honda, GFCA product development, and the United States OTR as designated supporting supplier in China. In 2003, the welded steel ring OTR 6X4.5 / 01 \ 6X3.5 / 01 was put into production and exported to the United States. Since then, Fengchi’s finished products began to go abroad, including the United States, Italy, Russia, Europe, Southeast Asia and other countries and regions. Today, Fengchi products can go out of the country and go to the world, which is owe to all employees’ effort. The development of foreign markets is a great leap. Let us create a beautiful tomorrow hand in hand! Experiencing twenty years of ups and downs in business, Fengchi has achieved well, which cannot be separated from the staff’s hard work, the management team’s unswerving spirit, and the high-level team’s entrepreneurial passion. In the past two decades, Fengchi has stepped extremely difficultly, but solidly and stably. 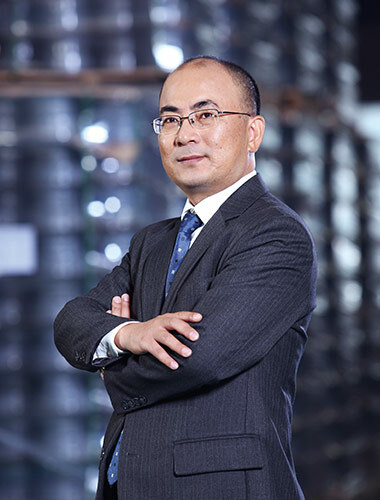 In 1994, under the leadership of Chairman Pan Weiming, I started from scratch, gradually determined the company’s products relying on the spirit of never giving up, adhering to innovation and focusing on quality, kept a foothold on the market, and finally become a world-class enterprises’ partner. 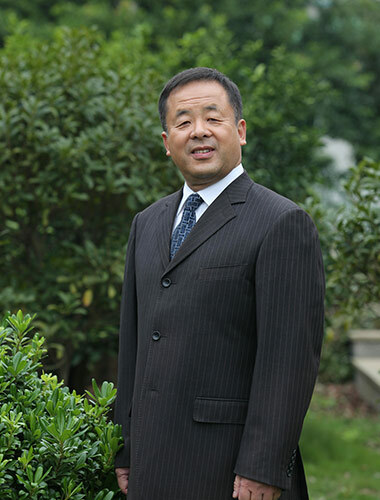 In 2000, under the leadership of General Manager Jiang Bojun, I created a market and achieved the second takeoff of Fengchi by never giving up, focusing on the market and servicing customers, so that Fengchi became a well-known global supply enterprise in irony steel rim subdivided field. In the future development, Fengchi relys on the team and talent, and pays more attention to team building and echelon training to promote the company’s continuous and vigorous development. Finally, I would like to say happy birthday to Fengchi (20th), and wish it another glory in the next twenty years.